Good Karma rope toys are hand tied and dyed using non-toxic vegetable dyes. 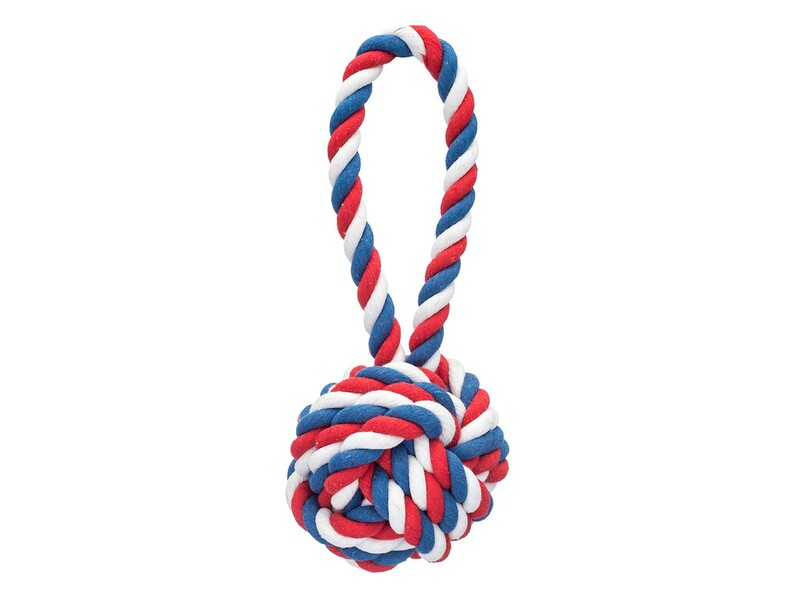 As your dog chews, the rope toy will fray and act like a doggie dental floss! All rope toys act like dental floss and are biodegradable. You can also dip your toy into water, freeze it, and use it to cool off your dog during hot summers or if you have a pup who is teething. All rope toys are hand knotted and thus parts can be easily removed when major fraying begins. Once toys are completely unraveled, compost them! Care Instructions:All rope toys are machine washable!